Occasionally, the very same mortgage regulations that protect lenders and borrowers can also drown us in an ocean of red tape. Income proof is a great example. People with self-employed, bonus or commission income often need a Notice of Assessment (NOA). If they can’t provide one in a timely manner to satisfy a financing condition, they can risk losing the home they’ve fallen in love with. When most people go house-hunting they mainly consider the mortgage approval. Specific income documentation, like Notices of Assessment, rarely cross their minds. But they should be top of mind for their mortgage broker, and even their Realtor. Industry professionals feel an obligation, as they rightly should, to see their clients’ home purchase go smoothly. So they must anticipate a client’s needs. This includes ensuring they have the proper documentation to close the sale, something that brokers and Realtors should confirm early on. Getting access to NOAs is fairly easy, says Demeter, but getting that access takes time. “Clients can obtain NOAs themselves from the Canada Revenue Agency (CRA), but it can take one to two weeks. 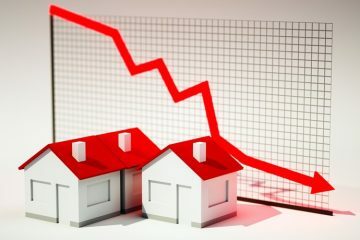 That can easily make the difference when it comes to getting the house you want in the allotted financing time,” he said. NOA Today helps address that by securing government tax documents quickly. Mortgage brokers who register with NOA Today are verified by a representative, usually the same day. Once the process is complete, mortgage professionals can regularly order Notice of Assessment packages on behalf of their clients. This package will contain NOAs from the past three years as well as a current Statement of Account. And it is virtually always delivered within 24 hours. Homebuyers rely on mortgage brokers to remove stress from the paperwork process. NOA Today secures NOAs within 24 hours most of the time. That allows clients to gain certainty from the lender sooner, rather than having to wait days or weeks for Revenue Canada to mail the documents. Traditionally, many mortgage brokers have advised their clients to contact the CRA to get these documents. In today’s competitive housing market, an intermediary can save precious time, and often save a deal altogether. NOA Today’s service costs $39—one of the lowest such fees in the industry. A broker’s first order is $0.99 and each subsequent order earns an entry into monthly raffles for prizes like NHL tickets. Interested mortgage professionals can visit www.noatoday.ca to learn more. – Mitchell Demeter is not registered with FICOM, so I ask what is your background and are you regulated in any way? – How does a broker, lender and insurer know the service is secure? – Has the CRA endorsed this service and the company? 2) How does this service, and others of the same type, ‘individually verify’ the clients identity before ordering NOA’s for the broker? Do you call the cell phone provided by the broker, or complete an in depth review then verbally confirm with the borrower? 3) How does the lender then know the clients identity is being confirmed? 4) How do you obtain them so quickly, when a borrower cannot? 5) The NOA’s appear to come in the format that, from years of experience, are easy to manufacture. What reassurance does NOA Today, and other companies, provide lenders that they are legitimate? Is a lender able to then verify the NOA with you or the CRA? Iv used the service and I have met the owner. You can google him and he has past business and is a straight up guy. Your 1st concern is fair but by that same standard a mortgage broker could sign page 3 of a clients application on their behalf and pull credit. By only offering this service to brokers who are registered with Ficom, those brokers already have regulations and rules to abide by. Especially privacy. The broker has to know the client because if any detail is wrong. even current address. the request does not process. Also if you look at the t1013 form that they sign on the order page, its an actual cra document. You can also see that they are requesting the client sign to say the only person who noa today can send the documents to is their broker (who again has been verified from the ficom website and cross referenced with their phone number and email etc, i received a phone call from mitch when I signed up). There is also an expiry date so its not like NOA Today can access documents after the fact if you decide to put expiry date in. For your 2nd question. They only authorize people listed on Ficoms website. If you search a brokers name as you know it shows were they work and has contact info. Every broker is verified so it really passes on part of the responsibly to these registered brokers to not commit fraud. I am a broker and I get access to clients documents all the time directly from clients. I dont really see how this is different since its still our responsibility as a mortgage broker to act responsibly with the clients best wishes always in mind. 3) if cra processes the request (if all data matches exactly to the clients cra profile, address, spelling of all names sin bday etc, then cra is sending this document. So from the lenders perspective. Its the identical document that a client would send their broker if they did not lose their NOAs and statement of accounts. 4) a borrower with an accountant who is great at their job and actually cares for their clients can also get documents quicker than the 10-15 business days it takes when you call cra. Some accountants offer similar services but it costs much more money. 5) I have provided this form of NOA’s to 5 different lenders and all of them have had no issue at all. They definitely have a way to check if they appear to be fake. Fake NOA’s , paystub, t1 generals etc are all equally vulnerable I would say. This document is exactly the same one clients are sent if they lose the original so the lender would verify it in the same way that they always do. Does this help? I thought I would chime in since I am a broker in Vancouver and have used this service many times. I think people are missing this big picture here. those clients can call their accountant and their accountant can do this for them. Accountants also charge a fee that is much more expensive. Accountants have been doing this for years. The purpose of this is for quick easy access and avoiding having to send your client on a wild goose chase. Most of my clients accountants are either unresponsive or complain non stop when the clients ask them for favours. If you call CRA and ask if they have heard of an accountant named Joe Thompson they wouldn’t know of the top of their head either. What is happening right now is that mortgage brokers are learning about something that has existed for a while but this takes away the work for the client. We all know how clients respond when you ask them to chase down documents!! Clients can also access their own tax documents except they have to call revenue Canada and cra mails them login codes a couple weeks later then they have access whenever they want. This is just simplifying the process for clients looking for financing that don’t have their ducks in a row. These clients are mostly people who don’t have an accountant and definitely don’t have online personal access. Thanks for your response, some comments do add some reassurance. Still – I, like Thomas, am sceptical, especially when income misrepresentation continues to be an issue nation wide. Back to question 4 – Your response doesn’t fully answer my question. They offer 24 hour turnaround for 3yrs tax history/NOA’s, how? If it’s as easy as you (and they) say: Why can’t the client for themselves? Why can’t a broker do this – at no cost to the client? FYI: For my own tax summary; I did get quick turnaround, but had to wait for full access. In any case, I do appreciate the time you’ve taken to respond Cody. I’ve reached out to FICOM and CRA investigators; the first is going to look into the service and, as Thomas noted, the CRA has never heard of it (from the responses I received so far) and are also investigating. I’ll wait to hear back from them. Thank you for taking the time to answer those questions, Cody. I have adjusted the ‘How it Works’ section on our site based on this feedback. FICOM definitely knows about this service. there is at least 2 other companies doing the same thing that I have heard of. Scotia bank discussed these services at their last conference and have already given a green light to allow brokers to use these services. Iv seen a couple lenders bdm’s email out links to this company as well. Not sure where you are located but maybe its just new to your area. Its just like having an accountant process NOA’s for you. No difference. They can get them just as fast but also charge a fee (double from my experience) and this just saves the client having to do all the work to make it happen. call an accountant right now and just ask them..” If i sign a T1013 and send it to you, can you send me my notice of assessments within 24 hours?” The answer will always be yes unless the accountant is too busy to process. They typically charge $100.